Dieter Erichsen was born on 8 October 1918 at Rybnik in Schlesien. He joined the Luftwaffe at the outbreak of World War 2. He began his flying training with the Flugzeugführerschule A/B 111 at Breslau before undergoing elementary training with the Flugzeugführerschule C 7 at Finsterwalde. Erichsen completed his flying training at the Nachtjagdschule 1 at Schleißheim.  In mid 1942, Erichsen was posted to I./NJG 4 based at Oldenburg-Vechta. He was assigned to 2./NJG 4. On the night of 3/4 December, now operating from Laon-Juvincourt in France, Erichsen claimed his first victory when he shot down a RAF bomber over southern Belgium. He recorded his second victory, a RAF Halifax four-engine bomber, operating from the newly built airfield at Florennes in Belgium, on the night of 10/11 March 1943. In April 1943, Erichsen was transferred to 11./NJG 6 based at Zilistea in Romania to provide aerial protection for the Romanian oil fields and refining installations at Ploesti. From May to mid-August 1944, IV./NJG 6 would be continously engaged on two fronts: RAF bombers coming from Italy and Russian bombers from the East. On the night of 8/9 August, Erichsen took of from Mamaia, a satellite airfield on the shores of the Black Sea. 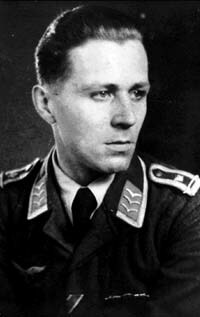 His Bordfunker quickly obtained a radar contact and guided Erichsen towards the enemy aircraft. At this point Erichsen’s Bf 110 (W.Nr. 480 180) suffered an engine failure. Erichsen was forced to make a forced landing in the Danube river delta area. Erichsen and his crew were rescued by a German Do-24 three-engined flying boat the next morning. Following the Romanian surrender to the Russians, IV./NJG 6 relocated to Schleißheim in late August 1944. On the night of 6/7 December, Erichsen claimed his fourth victory, a RAF Lancaster four-engine bomber shot down over Giessen. At the end of 1944, IV./NJG 6 was operating over Belgium and Luxembourg. On the night of 18/19 March 1945, Erichsen claimed a RAF Halifax bomber shot down. However, as he approached his airfield at Gerolzhofen, his Bf 110, “2Z + NV”, was attacked by a RAF night fighter. Erichsen successfully force-landed his stricken aircraft but all the crew suffered injuries. Erichsen’s injuries were serious enough that he did not see any further combat but he remained with IV./NJG 6 fulfilling a staff role. Post-war, Erichsen became a teacher in the German Democratic Republic. He later escaped to the west where he found employment. He is now retired and lives between Köln and Bonn. Dieter Erichsen was credited with five victories. All his victories were recorded at night.